P-80® Emulsion Temporary Assembly Lubricant is a biodegradable assembly aide that eases installation of tight-fitting rubber and plastic parts by reducing the force needed for insertion. Once assembly is complete, the lubricant dries and the part returns to its original condition. P-80 Temporary Assembly Lubricants can be applied manually or automatically, by dip, brush, or spray techniques. P-80 Emulsion Temporary Assembly Lubricant is used to install hoses, o-rings, seals, bushings, gaskets, grommets, grips, and many other rubber and plastic parts. 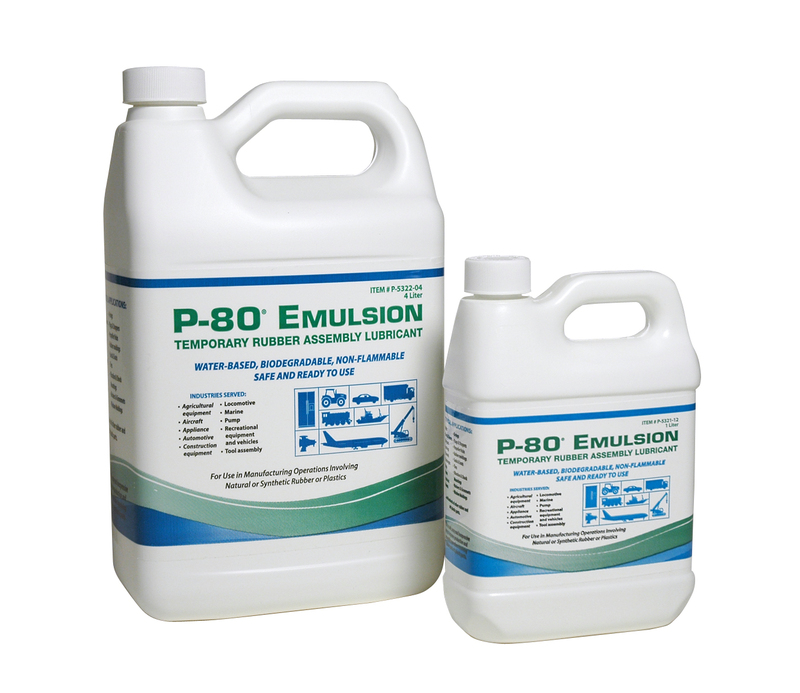 Use P-80 Emulsion when a thin film of lubricant is desired.